encourages patients to self-test their knowledge, and provide feedback about how they have improved their health, attained best-practice care and have derived benefits in terms of health and improved outcomes. is developed to improve and benefit health outcomes – each program is monitored to determine its benefits related to efficacy, utilization, and impact in addressing patient needs and making a difference in the lives of patients, challenged by disease and illness. The Animated Patient™ series aims to reduce the barriers of health literacy and help patients understand, process, act on and actively participate in their health outcomes. 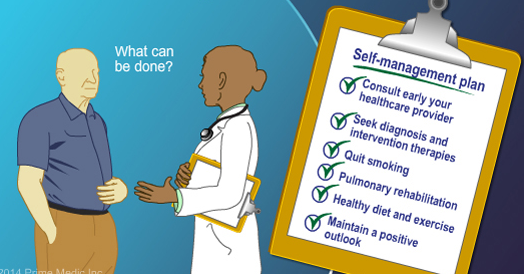 Poor health literacy impedes effective patient self-management abilities and skills. The Animated Patient™ series has a mission to improve patient disease knowledge, and help nurture self-confidence to seek and attain best-practice care; the Animated Patient™ resources empower patients, family members and care givers to pursue optimal disease health outcomes. The Animated Patient™ series empowers patients to engage in meaningful discussions with health providers and improves patient skills to access support services and best-practice care. The Animated Patient™ series invites patients to voluntarily provide feedback about how the learning resources have helped to improve their disease and its outcomes and monitors and reports on how it benefits the health outcomes of patients. Patients can test their own knowledge about their disease, and tools are provided to improve learning and guide decisions. The Animated Patient™ series of resources are also developed for use by health provider teams and we encourage their use in clinics, hospitals, medical offices or in the homes of patients to help patients better participate in best-practice care. "Visuals have proven to be a valuable asset in building patient-physician communications, enhancing patient education, and improving the informed consent process because patients are better able to grasp the implications of their condition, prognosis, and treatment options” (Nienkamp, 7). The Animated Patient™ is a highly visual, evidence-based series of educational resources for patients, families and caregivers intended for a lay person audience. This series is intended to increase understanding of disease, inform patients about best-care disease management, clarify aspects of disease diagnosis, simplify complex interventions and treatments, and promote important behaviors in patient self-management. Our patient education resources are designed to empower patients, improve physician-patient discussions and partnerships, and facilitate improvement in patient health outcomes. 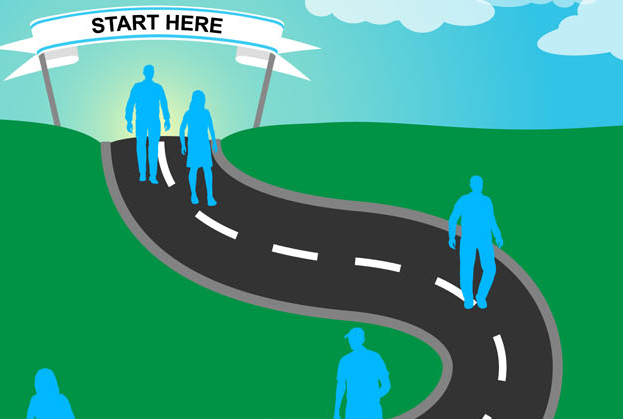 Our animated approach focuses on addressing the barriers that often exist to patient understanding, level of education and issues of health literacy. The AMA recommends health information be presented at a Grade 6-8 level to overcome health literacy challenges. The Institute of Medicine cites that over 90 million Americans are subjects of low health literacy (2) which has been shown to contribute to poor health outcomes. Better patient education resources are needed to help patients overcome health literacy issues, improve self-management actions, and engage patients in making informed choices. The Animated Patient series addresses health literacy, helps patients better self-manage their health, and understand complex medical information – The Animated Patient series uniquely proves to improve health outcomes of patients using this educational program series. Roter DL. Patient Literacy: A Barrier to Quality of Care. J Gen Intern Med. 1998 (12) 850 – 851. Wilson M. Readability and patient education materials used for low-income populations. Clin Nurse Spec 2009 23(1) 33-40. Study: Cancer Patients Increasingly Confused by Internet Health Information; Trust in Physicians Growing. Oncology Times. 2010. 32(11) 43-44. Colombo C, et al. Web Search Behavior and Information Needs of People with Multiple Sclerosis: Focus Group Study and Analysis of Online Postings. Interact J Med Res. 2014. 3(3): e12. Himmel, D. Educate before you Medicate; the NCPIE Coalition; Prescription Solutions. Nienkamp M (2006). Visual Learning Tools Overcome Health Illiteracy. Patient Safety and Quality Healthcare: www.psqh.com/julaug06/visual.html.